The Promotion is open to legal residents of the 48 contiguous United States and D.C. (except Rhode Island and New York) (“Eligibility Area”) who are 18 years of age or older (or 19 for residents of AL or NE) as of the Start Date of the Promotion. NO PURCHASE OR PAYMENT IS NECESSARY TO ENTER OR WIN. PURCHASE DOES NOT IMPROVE ODDS OF WINNING. OPEN TO LEGAL RESIDENTS OF THE 48 CONTIGUOUS US AND DC (EXCEPT RI AND NY). VOID OUTSIDE OF AK, HI, RI, AND NY AND WHERE RESTRICTED OR PROHIBITED. The “Rockstar WWA Sweepstakes” (the “Promotion” or “Sweepstakes”) will commence at 12:00:01 PM Pacific Time (“PT”) on April 1, 2016 (“Start Date”) and ends at 11:59:59 AM PT on August 7, 2016 (“End Date;” and Start Date and End Date collectively, the “Promotion Period”). SPONSOR: The Promotion is sponsored by Rockstar, Inc. (“Sponsor”). 1. ELIGIBILITY. The Promotion is open to legal residents of the 48 contiguous United States and D.C. (except Rhode Island and New York) (“Eligibility Area”) who are 18 years of age or older (or 19 for residents of AL or NE) as of the Start Date of the Promotion. Directors, officers, employees, agents and representatives of Sponsor, Sponsor’s franchisees, and Promotional Partner, and each of their respective parent, sister, affiliates, subsidiaries, advertising and promotional agencies, and all other corporations, partnerships, sole proprietorships or other legal entities or individuals associated with the development, administration, or fulfillment of this Promotion (collectively, the “Promotion Entities”), and the immediate families of such persons (defined as spouse, child, sibling, parent or grandparent or so-called “step” or “half’ variations of any of the preceding individuals, regardless of where they live), and those living in their same households, whether or not related, or a winner of any other of Sponsor’s official Sweepstakes during 180 days prior to the start date of the above-referenced Sweepstakes are ineligible to enter, win or collect prizes in the Promotion. The Promotion is subject to all applicable federal, state, provincial, territorial, municipal, and local laws, regulations, and ordinances. 2. HOW TO PARTICIPATE. NO PURCHASE NECESSARY. There are two (2) ways to enter into the promotion: Text Messaging: To enter through the text messaging method Entrant must text the code “WWA” to 69979 using a two-way text messaging capable device. Once Entrant has completed the foregoing, he/she will have earned one (1) entry (an “Entry”) into the Promotion. Entrants who use text messaging to enter will be charged according to their carriers' standard messaging and data rates and entrants should contact their carriers for pricing details. Check your owners' manual for specific text messaging instructions. Text messaging may not be available through all wireless carriers. Standard text messaging rates and Internet data rates may apply and Promotion Entities are not responsible for any fees incurred by participating in this Promotion. All text messages must be received by 11:59:59 AM PT on August 7, 2016. Text message not available in all areas or on all carriers. Text “STOP!” to 69979 to stop. Text “HELP!” to 69979 for help. Website Entry: Visit www.rockstarenergy.com/wwa (“Website”), find “Rockstar WWA Sweepstakes” and follow the onscreen instructions for completing all required entry fields. Once you have completed the entry form, and have agreed to these Official Rules, then click “submit” to be entered into the Sweepstakes (“Website Entry”). Promotion Entities will not acknowledge or confirm receipt of any Entries, regardless of entry method used. Promotion Entities are not responsible for Internet provider or cellular carrier or cell tower glitches or outages that result in the non-receipt of any participants’ entry attempts. Promotion Entities are not responsible for Entries that are garbled, corrupted, or otherwise unascertainable or incomprehensible. All Entries must be submitted by the End Date, any Entries or entry attempts received thereafter will be destroyed. Limit one (1) Entry per Entrant, per method of entry, as described above, throughout the Promotion Period. Only one (1) individual cellular telephone number per Entrant may be used in connection with this Promotion. Any person who attempts to participate by using multiple cellular telephone numbers, multiple identities, or by using any device or artifice to participate in violation of the terms stated in these official Rules, may be disqualified by Sponsor in its sole discretion. Any use of robotic, repetitive, automatic, programmed or similar participation methods or agents will void such participation in the Promotion. In the event of a dispute over who is an Entrant or who an Entry corresponds to, the authorized subscriber of the e-mail account used to Enter the Promotion as of the actual time that such information was received by Sponsor, will be deemed to be the Entrant. The “authorized account subscriber” is defined as the natural person who is assigned an e-mail address by an Internet access provider, online service provider or other organization (e.g. business, education, institution, etc.) that is responsible for assigning e-mail addresses for the domain associated with the submitted e-mail address. In the event of a dispute over who is an Entrant or who an Entry submitted through the Text Message method corresponds to, the authorized cellular telephone service account linked to the cellular telephone number used to Enter the Promotion as of the actual time that such information was received by Sponsor, will be deemed to be the Entrant. The “authorized cellular telephone account” is defined as the natural person who is assigned a cellular telephone number by a cellular telephone service provider that is responsible for assigning cellular telephone numbers for the cellular telephone network associated with the cellular phone number used to Enter the Promotion. Promotion Entities may require an Entrant to show proof of being the authorized account holder. Entrants may be required to indicate their acceptance to the Official Rules where indicated at the time of registration; provided, however, that any Entrant’s participation in the Promotion constitutes, and is deemed, such Entrant’s full and unconditional agreement to the Official Rules and any and all decisions of Promotion Entities, which are final and binding in all respects. All Entrants agree to waive any right to claim ambiguity in the Promotion and/or these Official Rules. 3. WINNER SELECTION AND NOTIFICATION. Winner Selection: There will be a total of one (1) Grand Prize Winner (“Grand Prize Winner”) in the Promotion determined by a random drawing (“Random Drawing”) from among all eligible Entries received in the Promotion Period. The Random Drawing will take place on or about August 8, 2016, or as soon thereafter as reasonably practicable. All decisions of Sponsor are final and binding. All Entries are subject to verification, confirmation and compliance with the Official Rules. Odds of winning depend on the number of eligible Entries received during the Promotion Period. Winner Notification: Sponsor will attempt to notify potential Prize Winner of his/her winning status via the cellular telephone number, and/or e-mail address provided in connection with the Prize Winner’s Entry within a week of the Random Drawing, at Sponsor’s discretion. Potential Winner must respond within seventy-two (72) hours of notification attempt. Failure to respond to notification within the stated time will result in forfeiture of the Prize. Awarding of any prize is subject to verification of potential Winner's eligibility and full compliance with these Official Rules. Except where prohibited, the selected potential Winner may be required to complete and return to Sponsor or its designated agent an Affidavit of Eligibility and a Liability/Publicity Release Form (“Affidavit and Release”) within three (3) days of receiving the Affidavit and Release. Failure to return the signed Affidavit and Release within three (3) days following the date of delivery thereof may result in forfeiture of the Prize. If a potential Winner cannot be contacted as specified above, or if he/she fails to return the signed Affidavit of Eligibility by the deadline specified above, or if a potential winner is deemed ineligible for any other reason in Sponsor’s sole discretion, the potential winner will be disqualified and an alternate winner may, at Sponsor’s sole discretion, be randomly selected in his/her place from among all remaining eligible Entries. Up to one (1) alternate winner drawing may be conducted for each un-awarded Prize, after which the Prize will remain un-awarded. 4. PRIZES. The Grand Prize Winner will receive a flyaway trip for two (2) to the Dominican Republic. Trip includes: •	Round-trip airfare for two from major international airport nearest winner’s residence to major international airport in the Dominican Republic; •	Four days/three nights Sponsor-specified resort accommodations for two (2) people, single room/double occupancy, check-in and check-out dates and times to be determined by resort and/or Sponsor, at their sole discretion; •	Ground transportation to/from airport; •	VIP tickets to an event of the Sponsors choosing; •	A meet and greet with the Rockstar team; •	One (1) Rockstar gear pack; •	One (1) year supply of Rockstar (12 cases) Total ARV of all Prizes to be awarded in this Promotion: $3,000 USD. Winner must travel from 9/15/16 – 9/17/16 or prize will be forfeited. Prizes will be awarded "as is" with no warranty or guarantee express or implied by Sponsor. Winners may not substitute, assign or transfer any Prize or part thereof, or redeem Prize for cash, but Sponsor reserves the right, at its sole discretion, to substitute a Prize (or any portion thereof) with one of comparable or greater value. Further, Sponsor reserves the right to forfeit or award any unclaimed or leftover Prize at its sole discretion. Additional restrictions may apply. All expenses not specified herein are the Winner’s responsibility. Federal, state, or local taxes on prizes, if any, and any other costs, fees or expenses not listed above are the sole responsibility of each winner. Sponsor, or its designated agent, may issue a Form 1099 to the Winner for any prize with an ARV of $600 or more. Any registered trademarks are used for purposes of prize description only and such use is not intended to suggest or imply the sponsorship, endorsement, or the approval this Sweepstakes. 5. PRIZE LIMITATIONS AND TRAVEL RESTRICTIONS: Grand Prize ARV may vary depending upon points of departure and destination and seasonal fluctuation of hotel rates and airfares, if applicable. If the actual value of the prize is less than the stated ARV, the difference will not be awarded. All expenses not specifically mentioned herein are not included and are solely the Winner’s responsibility. 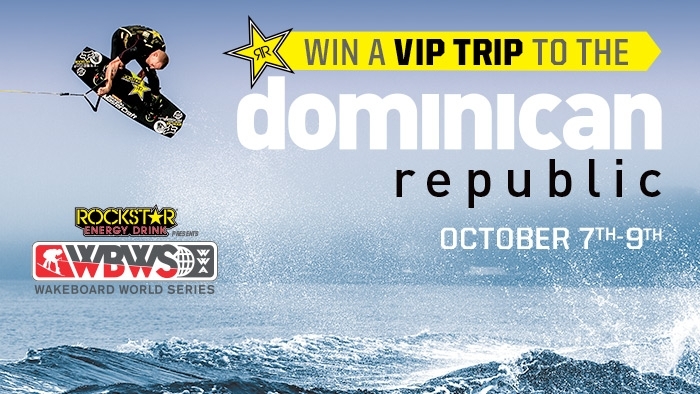 In the event the special event in the Dominican Republic is postponed, cancelled, delayed or otherwise interrupted, or the Sponsor is unable to secure tickets, Sponsor will substitute the tickets for a prize of equal or greater value and Sponsor shall have no further obligations to Grand Prize winner. Any passport requirements or other requirements associated with travel are the winners’ and their guests' responsibility. Travel and lodging are subject to availability, certain restrictions, blackout dates and Sponsor’s approval. Airline carrier and hotel regulations and conditions apply. Winner must take Trip on Sponsor-selected dates or Prize will be forfeited in its entirety and, at Sponsor’s discretion, awarded to an alternate winner. All travel must begin/end with the same major airport. Stopovers, open jaws, circle trips or frequent traveler mileages are not permitted. Travel must be made through Sponsor’s agent and Sponsor shall determine airline and flight itinerary in its sole discretion. Winner and his/her companions must travel together on the same itinerary. Winner’s travel companions must be 18 or older at time of travel or 19 or older if a resident of Alabama or Nebraska and must sign a Release of Liability and Waiver before companion will be permitted to travel with winner. Sponsor will not replace any lost, mutilated, or stolen tickets, travel vouchers, certificates or prizes. Grand Prize cannot be used in conjunction with any other promotion or offer and airline tickets issued in conjunction with the Prize are not eligible for frequent flyer miles. Once passengers are ticketed, an airline change fee must be paid by the winner to change flights or dates of travel. Additional costs including, but not limited to, seat assignments, baggage fees, etc. are determined by selected airline and will be the responsibility of the Winner. Sponsor is not responsible if any Prize, or any part thereof, cannot be awarded due to travel cancellations, delays or interruptions due to any acts of God, action(s), regulation(s), order(s) or request(s) by any governmental or quasi-governmental entity (whether or not the action(s), regulations(s), order(s) or request(s) prove(s) to be invalid), equipment failure, terrorist acts, earthquake, war, fire, flood, explosion, unusually severe weather, hurricane, embargo, labor dispute or strike (whether legal or illegal), labor or material shortage, transportation interruption of any kind, work slow-down, civil disturbance, insurrection, riot, or any other cause beyond Sponsor’s sole control, and shall not be responsible for any cancellations, delays, diversions or substitutions or any act or omissions whatsoever by the air carrier(s), hotel(s), or other transportation companies or any other persons providing any of these services and accommodations to passengers including any results thereof such as changes in services or accommodations necessitated by same. Sponsor will be held harmless for any liability, loss, injury or damage, including, without limitation, personal injury, death or damage to personal or real property, to Entrant or any other person or entity due in whole or in part, directly or indirectly, by reason of the acceptance, possession, use or misuse of any prize (including any travel or activity related thereto). The Promotion Entities and Promotional Parties shall not be responsible for any loss or damage to baggage. All expenses not specified herein are the Winners’ responsibility. Taxes on and in connection with a Prize are a Winner’s sole responsibility; Sponsor or its designated agent may issue a Form 1099 to a Winner for prizes with an ARV of $600 or more. Prizes are not transferable. No prize, cash or other substitutions allowed except at Sponsor’s sole discretion or as otherwise provided herein. Sponsor reserves the right to substitute a prize of equal or greater value if an advertised prize becomes unavailable. 6. ENTRY CONDITIONS AND RELEASE: By entering, each entrant agrees to: (a) comply with and be bound by these Official Rules and the decisions of the Sponsor which are binding and final in all matters relating to this Sweepstakes; (b) release and hold harmless the Promotion Entities from and against any and all claims, expenses, and liability, including but not limited to negligence and damages of any kind to persons and property, including but not limited to invasion of privacy (under appropriation, intrusion, public disclosure of private facts, false light in the public eye or other legal theory), defamation, slander, libel, violation of right of publicity, infringement of trademark, copyright or other intellectual property rights, property damage, or death or personal injury arising out of or relating to a participant's entry, creation of an entry or submission of an entry, participation in the Sweepstakes, the Submission, acceptance or use or misuse of prize and/or the broadcast, exploitation or use of entry or the Submission; and (c) indemnify, defend and hold harmless the Promotion Entities from and against any and all claims, expenses, and liabilities (including reasonable attorney’s fees) arising out of or relating to an entrant's participation in the Sweepstakes and/or entrant's acceptance, use or misuse of prize or any portion thereof. 7. GENERAL CONDITIONS: Sponsor reserves the right to cancel, suspend and/or modify the Sweepstakes, or any part of it, for any reason whatsoever, including, without limitation, fire, flood, natural or man-made epidemic of health of other means, earthquake, explosion, labor dispute or strike, act of God or public enemy, satellite or equipment failure, riot or civil disturbance, terrorist threat or activity, war (declared or undeclared) or any federal state or local government law, order, or regulation, public health crisis, order of any court or jurisdiction or if any fraud, technical failures or any other factor beyond Sponsor's reasonable control impairs the integrity or proper functioning of the Sweepstakes, as determined by Sponsor in its sole discretion. If the Sweepstakes is terminated before the designated end date, Sponsor will (if possible) select the winner by random drawing from all eligible, non-suspect entries received as of the date of the event giving rise to the termination. Inclusion in such random drawing shall be each entrant’s sole and exclusive remedy under such circumstances. Sponsor reserves the right in its sole discretion to disqualify any individual it finds to be tampering with the entry process or the operation of the Sweepstakes or to be acting in violation of these Official Rules or any other promotion or in an unsportsmanlike or disruptive manner. Any attempt by any person to deliberately undermine the legitimate operation of the Sweepstakes may be a violation of criminal and civil law, and, should such an attempt be made, Sponsor reserves the right to seek damages from any such person to the fullest extent permitted by law. Only the type and quantity of prizes described in these Official Rules will be awarded. The invalidity or unenforceability of any provision of these rules shall not affect the validity or enforceability of any other provision. In the event that any provision is determined to be invalid or otherwise unenforceable or illegal, these rules shall otherwise remain in effect and shall be construed in accordance with their terms as if the invalid or illegal provision were not contained herein. Sponsor's failure to enforce any term of these Official Rules shall not constitute a waiver of that provision. 8. LIMITATIONS OF LIABILITY: The Promotion Entities as set forth above are not responsible for: (1) any incorrect or inaccurate information, whether caused by entrants, printing errors or by any of the equipment or programming associated with or utilized in the Sweepstakes; (2) technical failures of any kind, including, but not limited to malfunctions, interruptions, or disconnections in phone lines or network hardware or software; (3) unauthorized human intervention in any part of the entry process or the Sweepstakes; (4) technical or human error which may occur in the administration of the Sweepstakes or the processing of entries; or (5) any injury or damage to persons or property which may be caused, directly or indirectly, in whole or in part, from entrant's participation in the Sweepstakes or receipt or use or misuse of any Prize. If for any reason an entry is confirmed to have been erroneously deleted, lost, or otherwise destroyed or corrupted, entrant's sole remedy is another entry in the Sweepstakes, provided that if it is not possible to award another entry due to discontinuance of the Sweepstakes, or any part of it, for any reason, Sponsor, at its discretion, may elect to hold judging from among all eligible entries received up to the date of discontinuance for any or all of the Prizes offered herein. Entrant (or entrant’s parent/legal guardian, if entrant is a minor in the state of his/her residence) further agrees and acknowledges that Sponsor reserves the right to forfeit or award any unclaimed or leftover Prize at its sole discretion. 9. DISPUTES/GOVERNING LAW: Entrant agrees that: (i) any and all disputes, claims and causes of action arising out of or connected with this Sweepstakes, other than those concerning the administration of the Sweepstakes or the determination of winner or for any disputes arising from the loss or injury from the participation in a Prize, shall be resolved individually, without resort to any form of class action; (ii) any disputes arising out of these Official Rules (except for any disputes arising from the loss or injury from the use of Prizes) shall be submitted to final, binding arbitration conducted in Nevada, under the Arbitration Rules and Procedures of the Judicial Arbitration and Mediation Services Inc. before a single, neutral arbitrator who is a former or retired Nevada state or federal court judge with experience in entertainment matters who shall follow Nevada law and the Federal Rules of Evidence and have no authority to award punitive damages. Either party may enforce a final arbitration award in any court of competent jurisdiction in Nevada, including an award of costs, fees and expenses incurred in enforcing the award. Notwithstanding the foregoing, Promotion Entities shall be entitled to seek injunctive relief (unless otherwise precluded by any other provision of these Official Rules) in the state and federal courts of Nevada. Any dispute or portion thereof, or any claim for a particular form of relief (not otherwise precluded by any other provision of these Official Rules), that may not be arbitrated pursuant to applicable state or federal law may be heard only in a court of competent jurisdiction in Nevada; (iii) any and all claims, judgments and awards shall be limited to actual out-of- pocket costs incurred, including costs associated with entering this Sweepstakes, but in no event attorneys' fees; and (iv) under no circumstances will entrant be permitted to obtain awards for, and entrant hereby waives all rights to claim punitive, incidental and consequential damages and any other damages, other than for actual out- of-pocket expenses, and any and all rights to have damages multiplied or otherwise increased. SOME JURISDICTIONS DO NOT ALLOW THE LIMITATIONS OR EXCLUSION OF LIABILITY FOR INCIDENTAL OR CONSEQUENTIAL DAMAGES, SO THE ABOVE MAY NOT APPLY TO YOU. All issues and questions concerning the construction, validity, interpretation and enforceability of these Official Rules, or the rights and obligations of the entrant and Sponsor in connection with the Sweepstakes, shall be governed by, and construed in accordance with, the laws of the State of Nevada, without giving effect to any choice of law or conflict of law rules (whether of the State of Nevada, or any other jurisdiction), which would cause the application of the laws of any jurisdiction other than the State of Nevada. 10. SWEEPSTAKES WINNERS: For the Sweepstakes Winner’s name (available after August 8, 2016), send a hand-printed, self-addressed, stamped envelope by September 8, 2016 to: Winners List, Rockstar WWA Sweepstakes, Brandmovers, Inc., 590 Means Street, Suite 250, Atlanta, GA 30318. 11. OFFICIAL RULES: For a copy of these Official Rules send a hand-printed, self-addressed, stamped envelope by August 7, 2016 to: Official Rules – Rockstar WWA Sweepstakes, Brandmovers, Inc., 590 Means Street, Suite 250, Atlanta, GA 30318. A copy of the Rules may also be obtained by printing this Website. 12. SPONSOR: Rockstar, Inc., 101 Convention Center Dr., Suite 777, Las Vegas, NV 89109. ADMINISTRATOR: Brandmovers, Inc., 590 Means Street, Suite 250, Atlanta, GA 30318. Any and all registered names or trademarks used in this Promotion are for identification purposes only. All trademarks and registered trademarks are the property of their respective owners, and their use does not signify such owners’ approval or endorsement of, or connection with, Sponsor or this Promotion.